The events in this example include the birth of John and Jesus, Jesus’ time in Egypt, His childhood in Nazareth and visit to the temple at 12, His baptism and ministry along with the crucifixion, empty tomb and ascension. The bottom briefly touches on Pentecost, Stephen’s stoning, Paul’s conversion and the planting of the church in Acts. 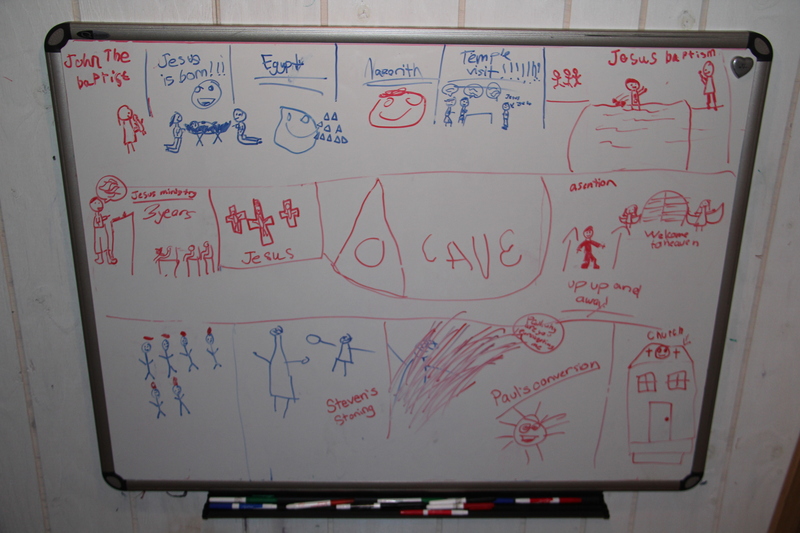 This entry was posted in Discipleship, Family and tagged children's activity to learn Bible history. Bookmark the permalink.